A youthful and lively play on color makes this bridal ring set one to remember. Apples of Gold presents this pink topaz ring set with plenty of fabulous flair. The 6mm pink topaz pops with a splash of color and equally lovely shimmer. 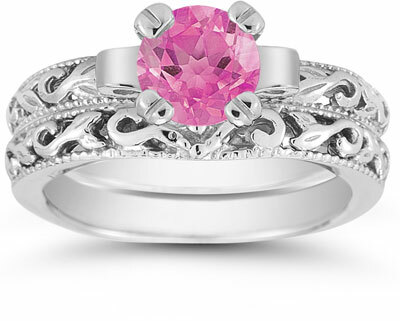 Set in the center of the rings, the pink topaz gemstone is clearly the main focus here. Two bands of 14K white gold support the stone and offer an art deco-inspired foundation for this bridal creation. 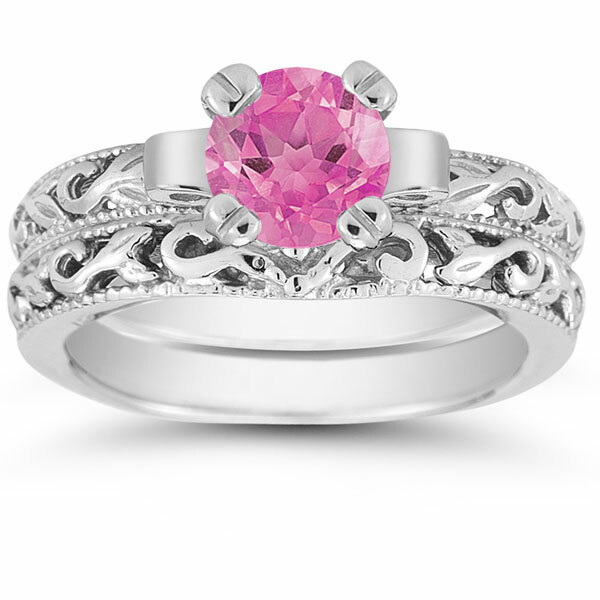 We guarantee our 1 Carat Pink Topaz Art Deco Bridal Ring Set, 14K White Gold to be high quality, authentic jewelry, as described above.